WordPress can be a good tool to show off your photographs to the world. However, since WordPress is not specifically designed to be a photography oriented content management system, you need to install some plugins to turn your site into a photography site according to your goal. I have some recommended WordPress plugins you can try. There are a bunch of WordPress plugins out there that are developed for photography websites. You can choose the best suited one according to your goal when decided developing a photography site. For instance, if you are developing a free stock photo site you might need a plugin that counts how many times a certain photo has been downloaded from your website. Or, you probably need a plugin to create a stunning gallery. Following are 9 WordPress plugins you can try on your photography site. Since the WordPress-based site you are developing is a photography site, you must have a bunch of images on the WordPress Media Library. Having too many images on a website without optimizing them is not too good for both the loading speed and your hosting storage. EWWW Image Optimizer helps you to optimize the images you uploaded to your website. This plugin uses lossy compression method to gain maximum compression while remaining visually lossless. You can use EWWW Image Optimizer for free. If you use your website to sell your photographs, it’s crucial enough to protect the image samples with a watermark to prevent online theft. The good news is, you don’t have to add watermark to the images manually one by one. Easy Watermark will get the job done for you. Easy Watermark will add watermark to images automatically as they are uploaded to the WordPress Media Library. In addition, you can also add watermark to the existing image manually, whether all at once or an every single image. The watermark you add can bee image or text or a combination of both. Easy Watermark supports for transparency and alpha channel in PNG and GIF files. NextGEN Gallery is probably the most popular gallery plugin for WordPress. This plugin has been around since 2007 and has been widely used by photographers who use WordPress to show off their works. NextGEN Gallery is a great gallery management for WordPress. It supports batch upload photos, import meta data, add/delete/rearrange/sort photos, edit thumbnails, group galleries into albums. Any time you want to create galleries on your websites, NextGEN Gallery is a must-try plugin. Sell Media can be a great solution if you want to use your website to sell your photos or digital products generally. This plugin makes it possible for you to create your own stock photo website to charge licensing fees for commercial, editorial, or personal usages. It features protect file uploads and integration with PayPal and MailChimp. SEO is a crucial aspect for online business. If you want to build a self-hosted WordPress site to market your photos then you should notice the SEO aspect on your website. MetaSlider is a WordPress plugin that helps you create a beautiful slideshows of your photos. Not merely slideshows but a SEO-optimized slideshows. 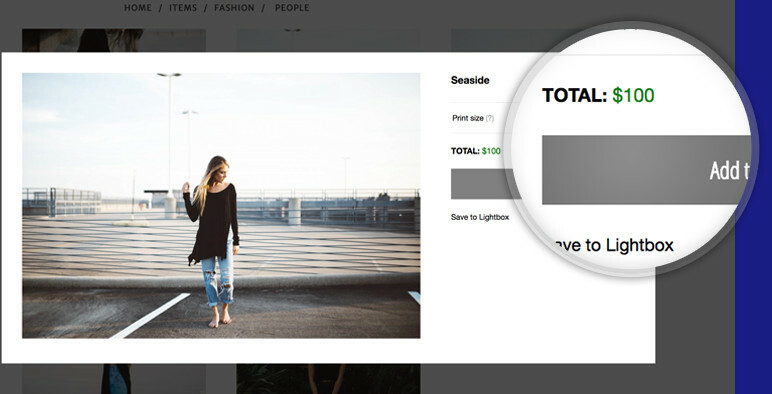 There are four different slideshow types offered by this plugin and it’s easy enough to use. Some photographers use a website to show off their photos to attract aspiring clients. Indeed, you can also use your WordPress site to market your photography service. If you are a type of photographer who prefer selling service instead of photos then you need this plugin. Booking Calendar is a plugin that helps you to apply a booking system on your website. Your aspiring clients will be able to check your availability before booking your service. You, the photographer, can manage the bookings via Admin Panel offered by the plugin. Booking Panel allows you to import your Google Calendar events. In addition to Booking Calendar, you can also take a look at online appointment tools that supports WordPress integration like SimplyBook and Setmore. Everyone loves something beautiful. Responsive Lightbox & Gallery helps your photography site becomes more beautiful. Once activated this plugin, your photos will be displayed in a beautiful lightbox when someone click them. There are 8 responsive lightbox scripts offered by this plugin. In addition, this plugin can also be used to create a beautiful gallery. Following is the example of how this plugin works. Compared to regular blogs and other type of websites that are text based, photography websites tend to heavier to load. The reason is clear enough. Photography websites have lots of images to load. Lazy Load helps your photography website to be loaded faster. This plugin works by replacing post images, post thumbnails, gravatar images and content iframes with a placeholder and loads the content as it gets close to enter the browser window when the visitor scrolls the page. If you want to create a free stock photo website using WordPress, it’s important enough to track the download activity on your website to figure out which images have more downloads and which ones have less. It is particularly important if you have a plan to offer premium images. WordPress Download Monitor is a plugin you need for this sort of need. This plugin will track downloads counts and log user download attempts. This plugin also allows you to apply member only download and require users to login before downloading the images you offer.